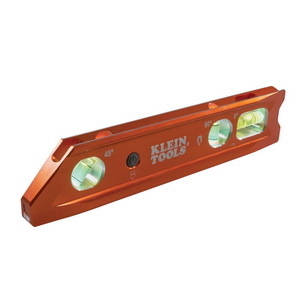 The high precision and accuracy of Klein's Lighted Billet Aluminum Torpedo Level saves time and rework. Three large vials identify Level, 45 and 90 degrees. 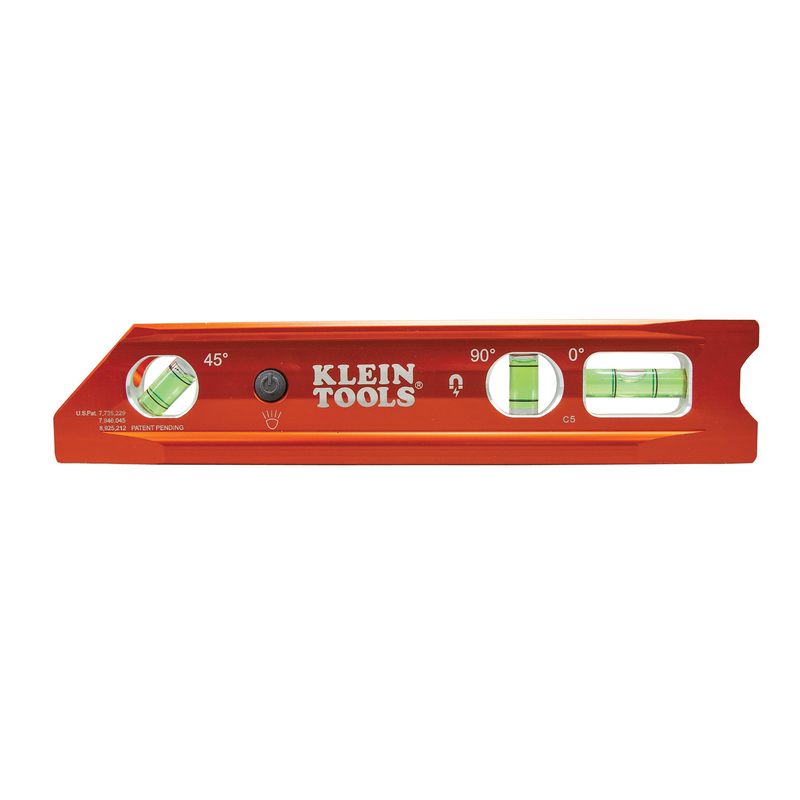 Ultra powerful rare-earth magents with locking track secures the level to any metal surface. The bright LED high-definition of each are easy to read in any lighting condition. The level surface is precision ground and machine flat.